If you don’t have an online payment account, create one now. It will take a few minutes of your time. Don’t have a gas connection yet? You can request for one online. This service will be made available shortly. If you smell gas, do not operate any electric switch, do not use a flashlight, a match or a candle. 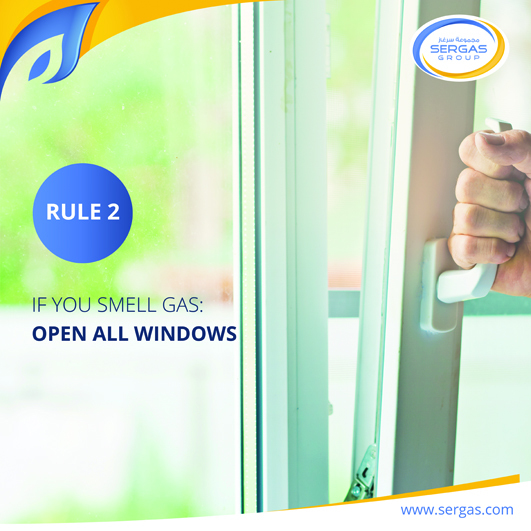 If you suspect a gas leak, ensure the windows and doors are open to let air circulate. Keep a fire extinguisher in your kitchen to extinguish all open flames. If you smell gas, check whether your cooker knob is on/off. 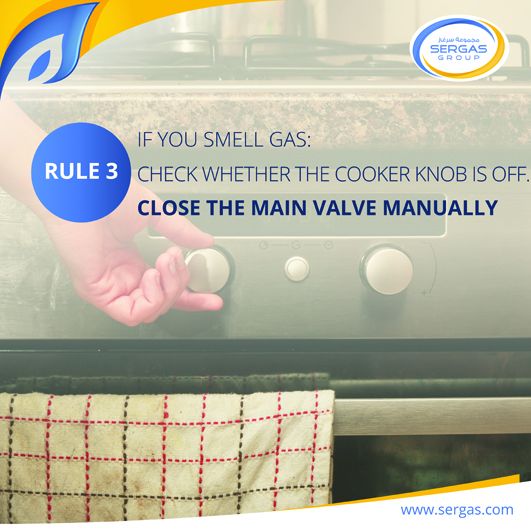 Close the main valve manually and call SERGAS UAE 600-565657 or Oman 99200577. Always check for blue gas flame. If the gas is slightly yellow, it is a sign of incomplete combustion which is harmful to health. 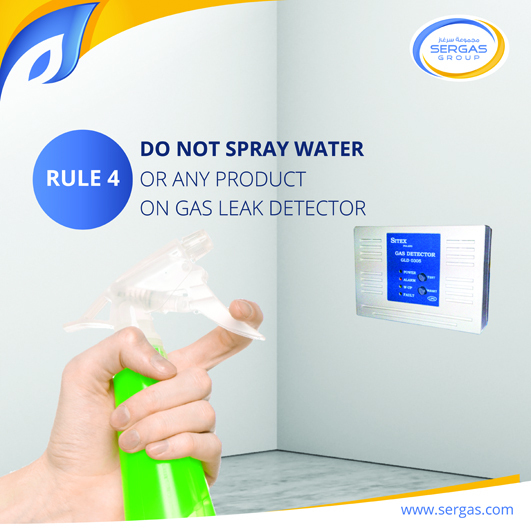 Do not spray water or any aerosol product on gas leak detector. 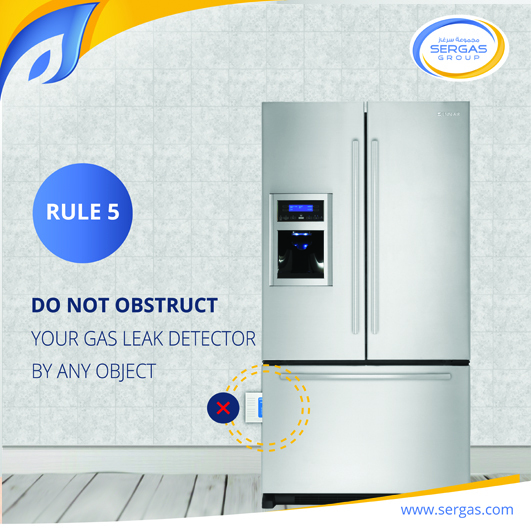 Do not obstruct your gas leak detector by any object. 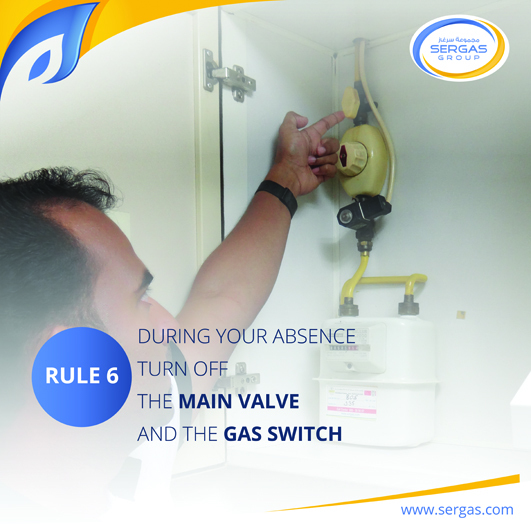 During your absence close the main valve manually and switch off the gas switch. Use your senses to detect a gas leak: the smell can help but don’t solely rely on it. Pay also attention to any unfamiliar sound such as hissing and whistling. In case of any emergency we encourage our customers to call us on our 24/7 U.A.E. Call Centre 600-565657 or Oman Call Centre 99200577 and consequently our emergency response teams will be ready to assist you immediately.